The XXV IUFRO World Congress will be held in Brazil in the city of Curitiba, Paraná State. The IUFRO World Congress is held at 5 year intervals, well attended by more than 2,000 participants. 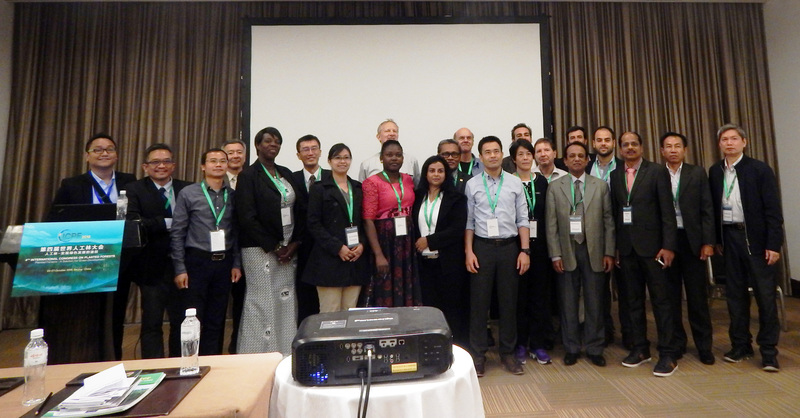 It brings together scientists and stakeholders from all parts of the world to discuss scientific and technical issues related to priority areas of forest research, policy and management. The host institutions are the Brazilian Forest Service (SFB) and the Brazilian Agricultural Research Corporation (Embrapa). It is important to highlight the support of governmental institutions, universities, research institutions and private companies, as well as local tourism entities and Embratur. It will be the first time that it will take place in Latin America. This important regional meeting will be held 17-21 June 2019 in Incheon, Republic of Korea. It is co-hosted by FAO and the Korea Forest Service. The International Congress on Planted Forests (ICPF) is being organised by the FAO of the United Nations and the International Union on Forest Research Organizations (IUFRO) among others. Three Congresses have been held so far. The 4th ICPF aims to investigate the contribution of planted forests to green development in the context of global changes. The 4th ICPF will also provide for an interface between the scientific community, the wider society and government policy initiatives related to planted forests. The 27th Session of the Asia-pacific Forestry Commission (APFC) will be held in Colombo, Sri Lanka from 23-27 October 2017, hosted by the Forest Department of Sri Lanka. TEAKNET will be holding a Partner Event during the Meeting, the details of which will be announced soon. The 19th Commonwealth Forestry Conference is scheduled to be held at Forest Research Institute, Dehra Dun, India from 3rd to 7th April, 2017. The major theme of the conference will be: “Forests for Prosperity and Posterity”. The ICFRE and FRI will be the focal point of the conference, with support from MOEF & CC, Government of India and Commonwealth Forestry Association. The year 2017 will be a key occasion for forestry professionals, academicians and all those interested in and associated with forestry sector in the Commonwealth; they will gather and share their experiences with a view to learn and develop a vision for the future that will involve inclusive and sustainable growth and development. The Pacific Regional Group of International Association of Wood Anatomist (IAWA), International Academy of Wood Science(IAWS), and the Indonesian Wood Research Society (IWoRS), invite researchers from all over the world to join in the Joint Meetings for PRWAC 2017 (The 9th Pacific Regional Wood Anatomy Conference) and IAWS Meeting 2017 which are being organized at the same time with The 9th International Symposium of Indonesian Wood Research Society to be held at Harris Hotel and Residences, Kuta, Denpasar – Bali, Indonesia, September 26 – 29, 2017. Asia and Oceania encompass only about one-quarter of the world's land area, but provide home to more than one-half of the world's population. Some of the world's richest and many of its poorest countries are located in the region. The 1st IUFRO Regional Congress for Asia and Oceania 2016 aims at reaching a common understanding about the status and trends of forests and the consequent research needs towards sustainable forestry development under such changes. It also aims at generating research synergies for well-informed policy and decision making to meet the forest governance and management demands in the transition period. The title of the conference is Forests for Sustainable Development: The Role of Research. The 2015 World Forestry Congress, the first to be held in Africa, will come together under the theme, ‘Forests and People – Investing in a Sustainable Future'. The Congress, convened by the Food and Agriculture Organization (FAO) of the UN and the government of South Africa, will consider how forests can be mainstreamed into global discussions on sustainable development and will facilitate the development of partnerships to address global forestry issues.